Pete Nelson builds with his head in the clouds quite literally as he brings to reality the fantastical treehouse imaginings of his clients. But you ll soon see that these treehouses are much more than child s play. You ll cross a rope bridge that leads to a barn-red brewery, tour a kitchen with top-of-the-line appliances, and sit by a peat-burning fireplace in a Celtic-themed cottage. All of these dreams are nestled in the trees, dreams that beckon to both the rambunctious inner child as well as the refined adult. 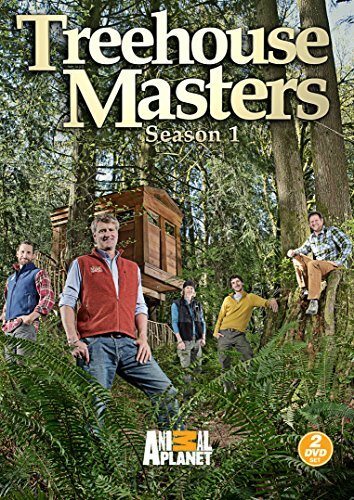 This 2-disc set of Treehouse Masters will invite you to climb inside and see the best of both worlds, while imagining your very own dream house in the trees. If you have any questions about this product by Discovery Channel, contact us by completing and submitting the form below. If you are looking for a specif part number, please include it with your message.